TORONTO, ON – Spearhead Brewing has announced that after several months of being available as a draught-only beer, their Moroccan Brown Ale has been accepted by the LCBO, and will be soon be joining the brewery’s Hawaiian Pale Ale on store shelves. 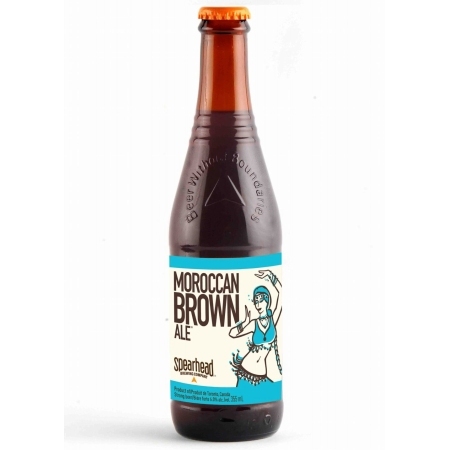 Spearhead Moroccan Brown Ale will be released at select LCBO outlets this spring, with a countdown clock on the Spearhead website tracking the expected release date. It will be available in 6 packs of 355 ml bottles at a price to be announced.